Why Is There a Need to Address Students’ Perceptions of School? Our perceptions affect our emotions and behaviors and our emotional and behavioral reactions also help shape our environments and skew our beliefs of those environments. A fundamental position of attribution theory is that we behave according to our perception and understandings. Attribution is part of our cognition of the environment, and is often used to feel a sense of control. We make attributions to make our world more manageable and predictable. One of our most important attributes is ability. Much of our performance is evaluated, by ourselves and by others, by assessing performance ability or competence. The attribution of high ability can be limiting, as it carries the obligation to perform at increasingly higher levels. Adolescents who are underachieving may be exerting control over their own actions and environment by using self-serving attributions. By attributing lack of school success to external factors, for example, a student may not have to accept personal responsibility for his lack of success, and thus the negative quality of underachievement is reduced. A student who believes a lack of success is caused by external and presumably uncontrollable sources preserves her self-image. If a gifted student is feeling too much pressure to succeed, he may purposefully underachieve to prove he “isn’t so smart after all.” Students’ perceptions of their educational experiences influence their academic performance. One way to preserve one’s own perception of high ability, especially if poor performance is perceived to be likely, is to reduce the level of effort and not try. Schemas are cognitive structures we use to organize and reorganize incoming information and provide theories or hypotheses for future data. Information is screened, highlighted, or stored based on how it fits into our schemas. Individual schemas and perceptions are not all correct. According to the Individual Psychology of Alfred Adler, how a student views her intellectual ability and subsequently cultivates and uses it will affect achievement more than the mere possession of a certain IQ. It is not a lack of knowledge, but perceptual styles and faulty beliefs and schemas that may be the problem when a student underachieves. Students who tend to hold negative perceptions about themselves and others tend to interpret events pessimistically. A negative worldview can become a way of life and can have a negative impact on achievement. This module, based on an Adlerian approach that emphasizes personal responsibility, is a collaborative process to identify and correct distortions, exaggerations, and mistakes in students’ cognitive schemas. 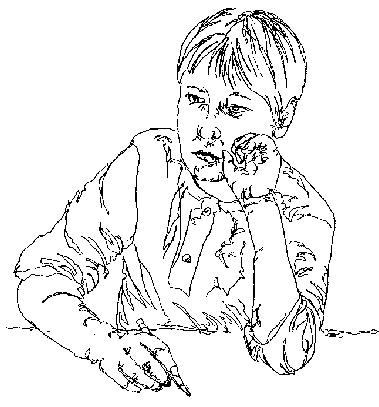 Children develop convictions, conclusions, and generalizations that become cognitive schemas. These schemas are truths for the individual, regardless of their benefit to the individual. Irrational schemas are sets of unreasonable or distorted expectations about the way the world is and the way it ought to be. Some inaccurate, or negative information may be more deeply processed than accurate information. Unfortunately, negative behavior is given greater weight when forming impressions that become our perceptions. This is true for teachers as well as students. It is important to notice what an underachieving student is doing right. Hanging on to negative labels is not conducive to growth or change. Next Section: Why Use the Cognitive Therapy Approach?